Divya graduated from De Montfort University with LLB (hons) and thereafter completed the Legal Practice Course at City University, London. 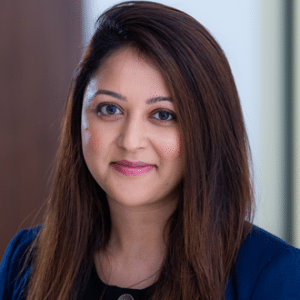 Prior to joining the Dental Negligence Team, Divya worked for a well-known Claims Management Company which specialised in screening and vetting quality clinical and dental negligence cases for a large panel of specialist clinical negligence law firms. She went on to become a trainee solicitor at a London firm and qualified as a Solicitor in October 2015. Divya then joined a national firm as a newly qualified solicitor before joining the Dental Negligence Team in December 2018. Although Divya qualified in 2015, she has gained in excess of 8 years clinical and dental negligence experience. She has dealt with a variety of claims and has a keen interest in cases where patients have attended their dentist regularly but due to neglect and mismanagement, there has been a delay in diagnosing and treating periodontal disease and in some cases, oral cancer. She also handles cases where root canal treatment has not been performed to an expected and reasonable standard, resulting in further invasive treatment for the patient.